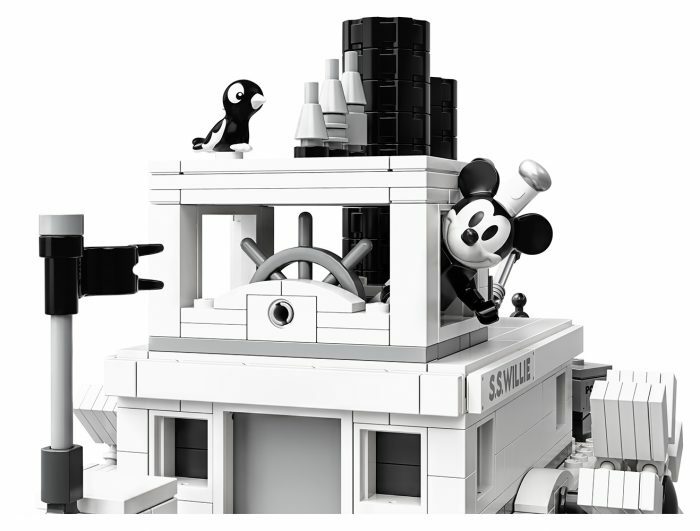 Previous PostPrevious New Creperie Announced for Epcot’s France Pavilion! LEGO Celebrates Mickey’s 90th with New Must-Have Steamboat Willie Set! 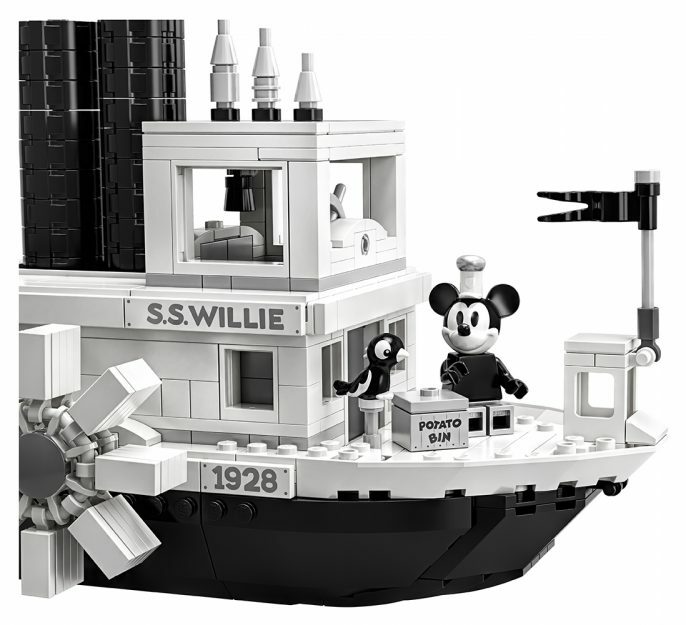 LEGO is honoring Mickey’s 90th birthday with the introduction of a very special version of the S.S. Willie. 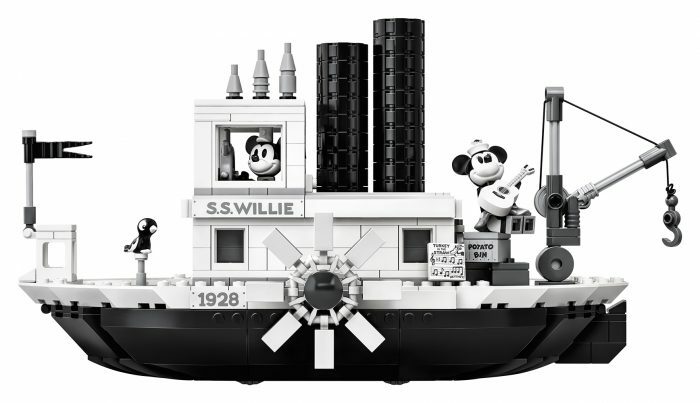 On April 1, 2019 LEGO will release the LEGO® Ideas 21317 Steamboat Willie building toy set. 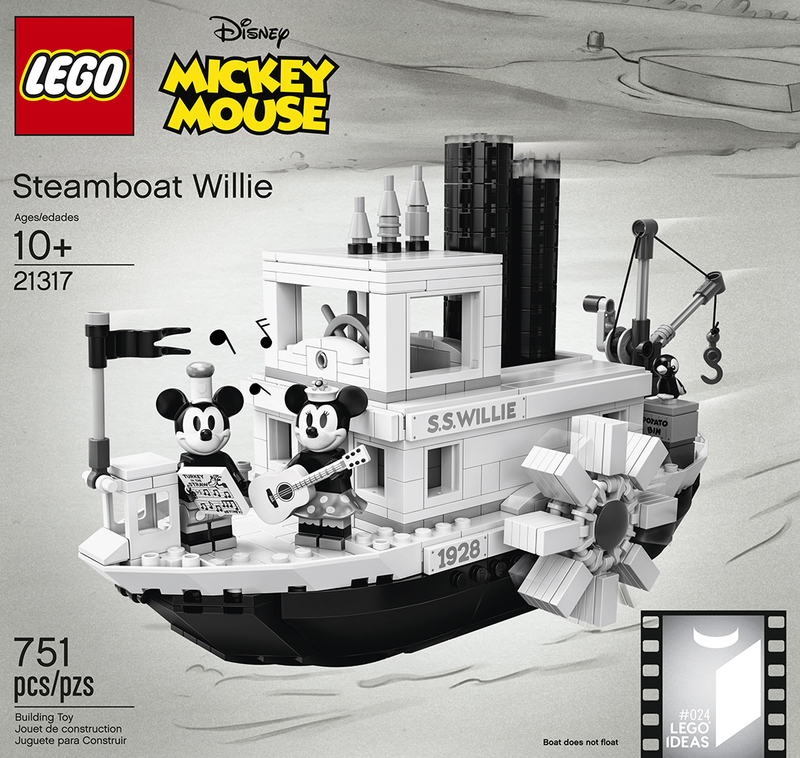 This LEGO version of the S.S. Willie includes steam pipes that move up and down, along with paddle wheels that rotate when the boat is pushed along. 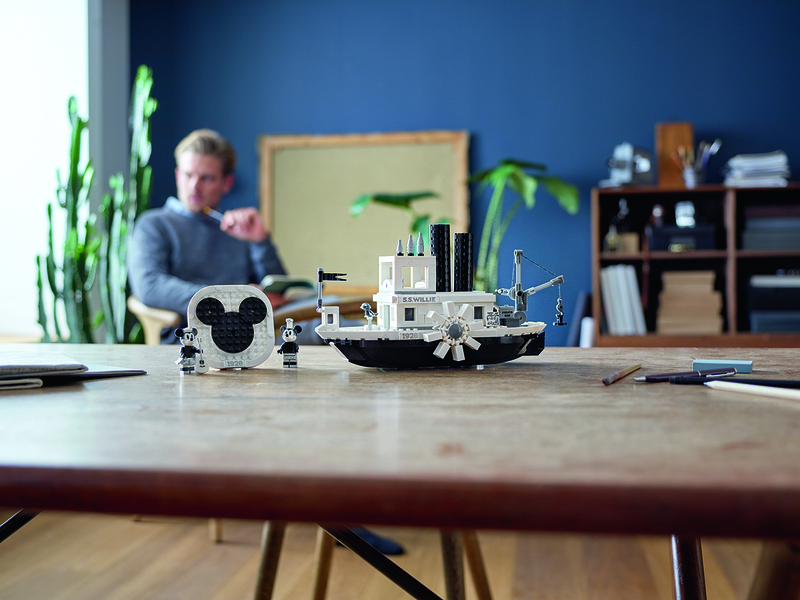 The boat’s bridge has room for a minifigure and play-inspiring nautical details such as the ship’s wheel, life buoy and buildable bell. 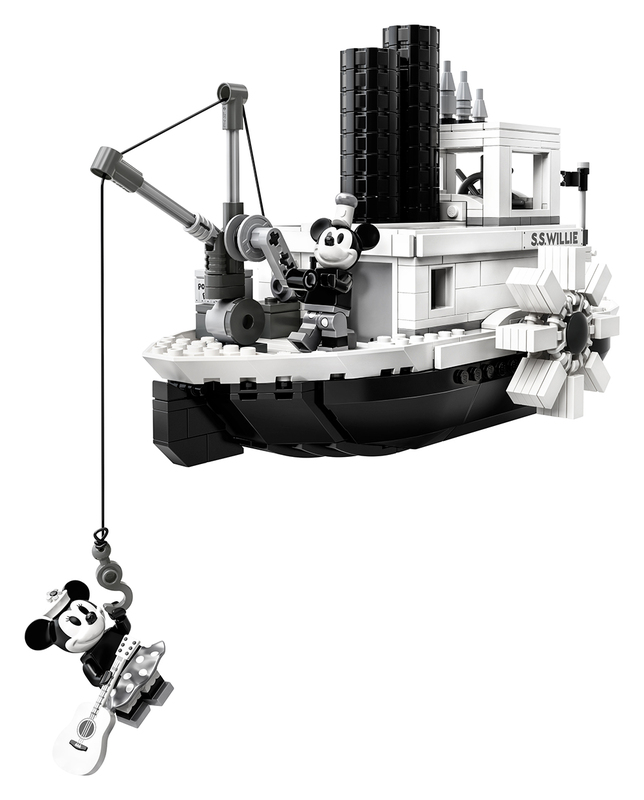 On deck there is a working crane to lift the ‘potato bin’ cargo aboard. 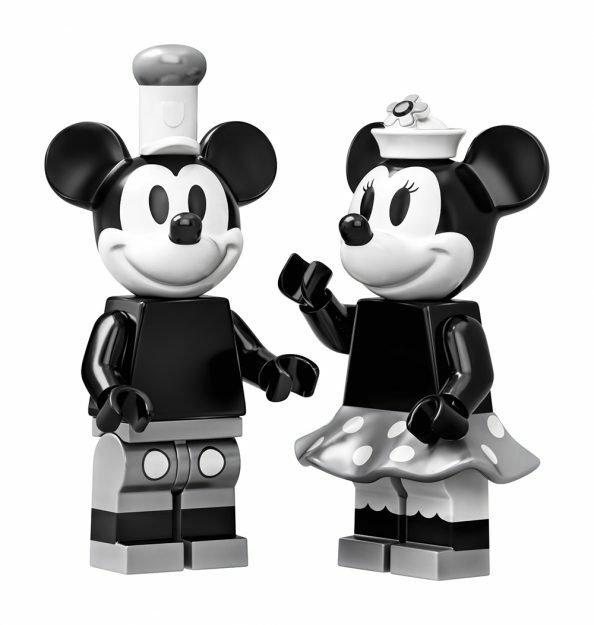 This unique toy building set comes with new-for-April-2019 Mickey Mouse and Minnie Mouse minifigures, each with special silver-colored decoration, plus a parrot figure. 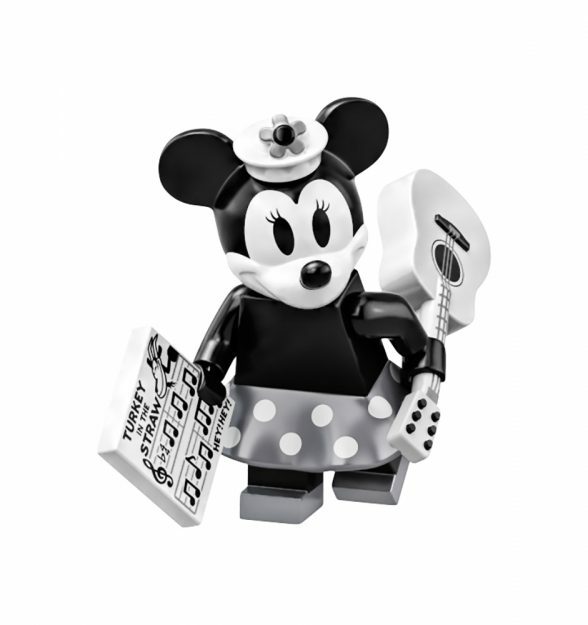 Accessory elements include Minnie Mouse’s guitar and sheet music. This set will allow kids and adults alike to recreate scenes from the cartoon or simply build and display this monochrome model. The new set will be available directly through LEGO starting April 1, 2019 on shop.LEGO.com, at LEGO Stores, or over the phone at 1-800-835-4386. Are you a LEGO-maniac? Will you be buying and building this new set? Let us know in the comments below!